Medtronic (NYSE:MDT) said that it named Sean Lennon as its new chief information officer, set to take effect April 29. The Fridley, Minn.-based medtech giant said that Lennon will take over for Mike Hedges, who is retiring from the position after 19 years with Medtronic, including 10 as CIO. Prior to joining Medtronic, Lennon served as CIO with Allergan (NYSE: AGN), the company said. He has previously held senior leadership positions with pharmaceutical companies including Watson/Actavis, Novartis (NYSE:NVS) and Schering-Plough. Clearside Biomedical (NSDQ:CLSD) said yesterday that it named George Lasezkay as its new interim CEO, effective immediately. Lasezkay will succeed Daniel White, who resigned as prez, CEO and as a board member to pursue other opportunities, the Alpharetta, Ga.-based company said. Prior to joining Clearside, Lasezkay acted as exec VP and GC for novel ophthalmic therapeutics maker Acucela and as prez of Horizon Pharma Group. He has also acted as corporate dev corp VP for Allergan, the company said. “We believe there is tremendous potential in our proprietary suprachoroidal space injection platform, as evidenced by the acceptance of our new drug application for Xipere for suprachoroidal injection. We want to thank Daniel for his visionary contributions, including licensing the original scientific technology, building our versatile therapeutic platform, leading our IPO and other financings, and hiring an experienced team to bring these important innovative products to market. We are at an important stage in the evolution of our company, so we are pleased to have Dr. George Lasezkayserve as CEO on an interim basis as we conduct a search for our next CEO. George has broad expertise in ophthalmology established during his tenure at Allergan, Inc., where he served on the company’s executive committee. With proven management experience and substantial industry knowledge, we believe George will help lead our team as we prepare for commercialization of our first product and look to leverage our unique platform through pipeline expansion and partnerships. We expect to benefit from his combination of clinical, legal, business development and executive expertise, and his diverse experience working with a number of emerging biopharmaceutical companies,” board chair William Humphries said in a press release. Clearside Biomedical said that it is initiating a search for a permanent replacement. “We are excited about our suprachoroidal drug delivery platform and potential approval of our first agent for the treatment of macular edema associated with uveitis, which would be a significant milestone for Clearside. We also believe the platform has broad applicability in other eye diseases and continue to explore utilizing suprachoroidal administration with other small molecules and gene therapy. I am confident in the capabilities of the Clearside team and look forward to working with them to ensure the long-term success of Xipere, prudently build our ophthalmic pipeline, and work with potential partners to leverage our platform and provide international reach,” Lasezkay said in a prepared statement. SynCardia Systems said last week that it promoted current chief operating officer Don Webber to CEO, and that it tapped Peter Spadaro as its new prez & CCO. Prior to joining Syncardia last year as COO, Webber served as COO at OptiScan and held a manufacturing operations VP position with C.R. Bard, an operations VP position with Ekos and as prez & CEO of Mitralign, Tuscon, Ariz.-based SynCardia said. Before taking the position with SynCardia, Spadaro held a position as cardiac surgery senior sales director at Medtronic, after having spent nearly 30 years with St. Jude Medical, the company said in a press release. iHear Medical said last week that it named founder & board chair Adnan Shennib as its new CEO. The San Leandro, Calif.-based company said that Shennib had spent more than 30 years of experience in founding and leading hearing tech companies, including ReSound and InSound Medical. iHear Medical also said that Varun Bhardwaj joined the company as operations VP, having previously held the position of chief innovation officer. Surgical device maker LumeNXT said last week that it named co-founder Paul Rhyne as its new CEO. Prior to co-founding Boston-based LumeNXT, Rhyne spent time with Intarcia Therapeutics, the company said. Rhyne also spent 11 years at Coloplast Corp., holding positions including Canadian country manager. “We are proud to name Paul as CEO here at LumeNXT. His wealth of experience and insight into the interaction between the commercial business sector and healthcare space is valuable during this growth stage in our company,” board chair Marc Beer said in a press release. 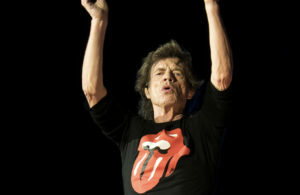 The Rolling Stone frontman tweeted Friday that he was feeling better and on the mend after undergoing the procedure at a New York hospital. 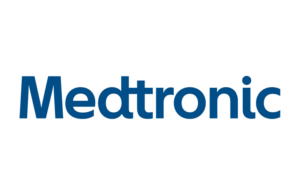 Medtronic (NYSE:MDT) today touted more data on the HeartWare left-ventricular assist device it acquired in 2016, saying economic analyses of prior trials showed its cost effectiveness. The Fridley, Minn.-based medical device giant said one analysis, of data from the Lateral thoracotomy study showed that patients implanted with its HVAD pump incurred lower hospitalization and medical supply costs than patients implanted via sternotomy. The average total cost per thoracotomy patient was $204,107, compared with $260,492 for traditional median sternotomy. 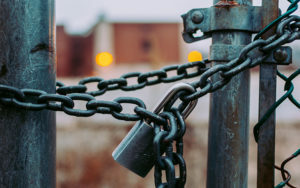 Lateral also showed an 87% survival rate at two years and a 30% in length of hospital stay for thoracotomy patients, compared with sternotomy patients. The second analysis studied HVAD as a bridge to heart transplant or as a so-called “destination therapy” for patients too sick to undergo a transplant, using data from four studies, Medicare and Seattle Heart Failure Model estimates. Incremental cost effectiveness in bridge-to-transplant patients was ⅔ lower ($69,561) for HVAD patients, compared with $226,300 in 2014. In destination therapy patients, the ICER was $102,499 for the HVAD device, compared with $209,400 to $802,700 for competitive LVADs. Results from both analyses were presented in London last week at the annual meeting of the International Society for Heart & Lung Transplantation. Last week Medtronic touted a retrospective analysis of two studies showing that managing blood pressure reduced the severity of strokes in patients implanted with the HVAD pump. The post Medtronic, BCBS Minnesota ink value-based diabetes deal appeared first on MassDevice. Get the full story on our sister site, Drug Delivery Business. The post Medtronic touts new targeted drug delivery study results appeared first on MassDevice. A retrospective analysis of two studies involved the HeartWare left-ventricular assist device Medtronic (NYSE:MDT) acquired in 2016 showed that managing blood pressure reduced the severity of strokes in patients implanted with the HVAD pump. The analysis, of “destination therapy” patients who are not candidates for a heart transplant, took data from the Endurance and Endurance Supplemental studies. Results were presented this week at the annual meeting of the International Society for Heart & Lung Transplantation in London, Medtronic said. The 465-patient Endurance Supplemental study compared 308 patients implanted with the HeartWare HVAD and 157 patients implanted with arch-rival Thoratec‘s HeartMate II device; the HVAD-treated cohort was also managed with a pre-specified blood pressure strategy to try to cut the stroke rates seen in earlier trials. Endurance Supplemental’s primary endpoint was the rate of transient ischemic attack or stroke with 24-week residual deficit at 12 months. Secondary endpoints included a composite of freedom from death, disabling stroke and device replacement or urgent transplantation and a comparison of stroke or transient ischemic attack between the HVAD-treated cohorts in Endurance Supplemental and the original Endurance trial. Although Endurance Supplemental missed the primary endpoint, with a 14.7% stroke rate for the HVAD cohort and 12.1% for the HeartMate II group, HVAD patients a 76.1% rate of freedom from the secondary endpoint’s adverse events compared with 66.9% for the control arm. Stroke rates were 24.2% lower for the HVAD cohort in the second trial compared with Endurance and hemorrhagic cerebrovascular accident was reduced by 50.5%. 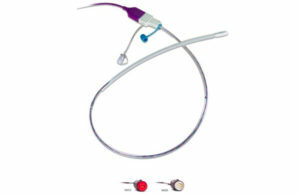 Today Fridley, Minn.-based Medtronic said the two-year rate of freedom from disabling stroke for the HVAD group was 91%. Patients with the HeartWare device who had a stroke of any severity showed a lower rate of stroke-related mortality than patients implanted with HeartMate II, at 17% compared with 27%, respectively, the company said. 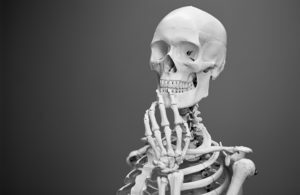 And there was a 23% reduction in total strokes, a 36% reduction in disabling strokes and a 39% reduction in stroke-related mortality in the HVAD arm of Endurance Supplemental, compared with the same arm in Endurance. Medtronic said it’s also running a pair of real-world studies on the HVAD device, a 300-patient post-approval review of destination therapy patients called DT PAS and Apogee, which is designed to examine best practices in blood pressure management, anticoagulation/anti-platelet therapy and implant procedure in a DT PAS subset. Medtronic paid $1.1 billion in August 2016 for HeartWare, after cross-town rival St. Jude Medical paid $3 billion for Thoratec in October 2015; Abbott (NYSE:ABT) paid $25 billion for St. Jude in January 2017. The post Medtronic touts stroke data for HeartWare LVAD appeared first on MassDevice.